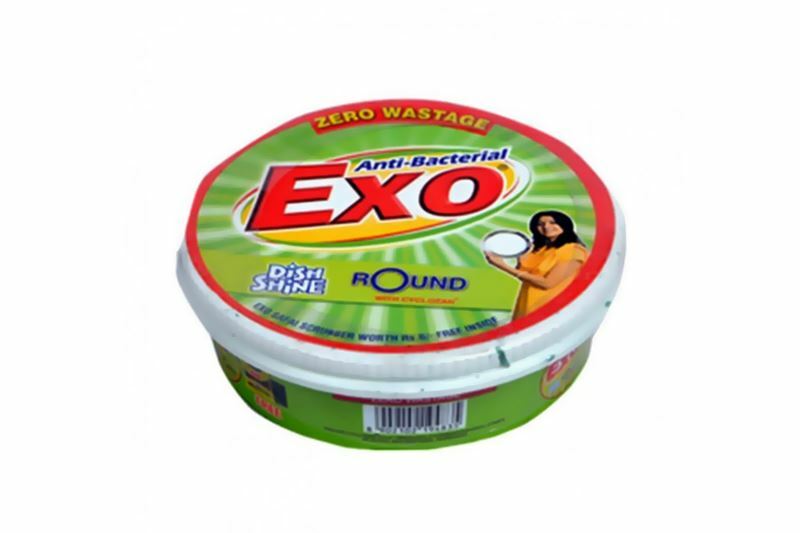 Exo Dish Wash Round is the first-ever round shaped dish wash bar. The unique round shape of the bar has clear advantage over the traditional rectangular bars available in the market. Given its round shape, the bar is used in its entirety and ensures zero wastage. Add to that, the innovative Anti-Sogg formula that prevents excessive melting of the bar when in contact with water, which makes the Exo Dish Wash Round a great value for money choice.